Monny Nahoum (who insists on being called by his first name) is an art lover extraordinaire. 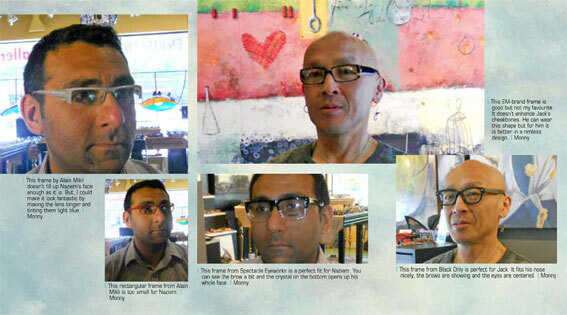 His store – Envision Optical – in the trendy Kitsilano area of Vancouver shows and sells visual art as well as eyewear. One has to visit the store to believe the incredibly eclectic and stimulating environment he has created. Monny’s background as a fashion photographer and style consultant stands him in good stead when it comes to selecting frames for his clientele. Attention to detail is the hallmark of Monny’s success and his fitting style, for he considers frames to be art for the face.